Nintendo has just released a new update again for the 3DS, 3DS XL, Nintendo 2DS, and the NEW 3DS systems. The latest version is now version 10.7.0-32. 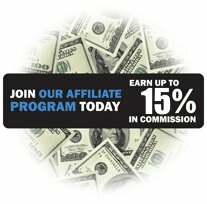 The theme of most of the updates over the last 6 to 8 months has been based on stability. 3DS firmware updates are something that are fairly common occurrences these days and unfortunately, they typically don't add any new or exciting features. The focus is instead on the stability of the 3DS and some enhancements to make the user experience better for their aging hand held. As with the last several updates, we are extremely happy to report that none of our official R4 3DS cards need any type of a firmware update in order for them to continue working on any 3DS or 2DS systems world wide. It has only been about a month since the last update, and this one promises additional fixes to the stability of the 3DS and 2DS systems. As always, if you want to be able to continue to access online game play and the eShop you will need to update your 3DS systems. Doing so won't have any effect on your ability to continue to play your favortie homebrew and indie games, etc... on your favorite hand held system using our official R4 3DS cards. Please see below all of the cards that are currently unaffected and continue to work perfectly on the latest 10.7.0 updated systems. 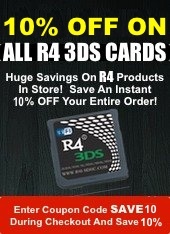 You can click on the card itself for more information on each of the R4 3DS cards and their functions and features. 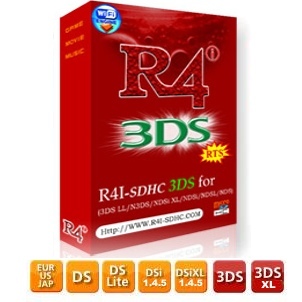 The red box R4 3DS is confirmed working with no firmware updates required. 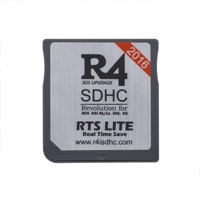 The R4 3DS RTS card is also confirmed to be working on the latest 10.7.0 updated systems. The R4 3DS Gold Card is also confirmed to be working on the latest 10.7.0 Update. There is no need for any firmware updates at all.